In Your 80s? 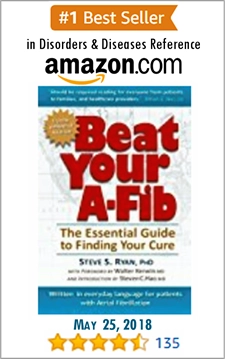 Are You Doomed to Live In A-Fib? 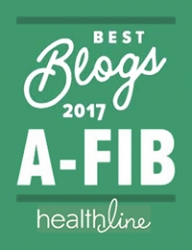 A-Fib is age related. In particular, more people in their 80s are developing A-Fib. Yet many A-Fib centers have a policy of not performing a catheter ablation on anyone 80 years old or older. But these are often the patients who need a PVI the most. Up to 25% of strokes occurring in octogenarians can be attributed to A-Fib. 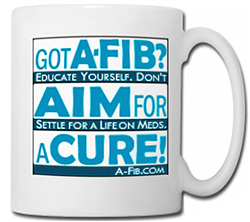 It seems arbitrarily cruel to force someone to “live in A-Fib” just because they are older. 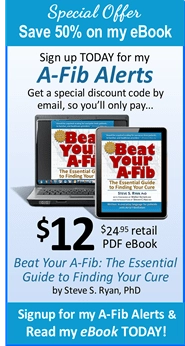 It seems arbitrarily cruel to force someone to “live in A-Fib” just because they are older. Isn’t this age discrimination? Why exclude octogenarians from a potentially curative treatment like catheter ablation (PVI)? If you’re in your 80s, you’re not automatically doomed to a life in A-Fib and on A-Fib drugs. Dr. Santangeli’s work is very hopeful and encouraging. But in practice, octogenarians have been largely excluded from clinical trials of catheter ablation. Current guidelines are also very conservative, because there has been a lack of adequate clinical studies in this area. Dr. Santangeli’s report is a step in the right direction. People who live to be 80 often have developed good life habits and are more apt to be healthy. What Dr. Santangeli is basically saying is that doctors should look at the health (and mental attitude) of an individual rather than set arbitrary age limits to having a catheter ablation. People who live to be 80 often have developed good life habits and are more apt to be healthy, maybe even more so than many of their younger peers. But then he added “old is old and octogenarians are different than the mid 50- to 60-year-old patient traditionally undergoing atrial fibrillation ablation.” He recommended forms of medicine for octogenarians with A-Fib. Contrary to Dr. Kim editorial, Dr. Santangeli’s point is that in the real world old isn’t necessarily old. People in their 80s may indeed have ‘excellent functional and health status” which would make them good candidates for a catheter ablation. Most healthy 80-year-olds aren’t so frail that they can’t have a catheter ablation. After all, a catheter ablation is a non-invasive procedure. It isn’t like open heart surgery which is incredibly taxing and physically demanding. You don’t have to be a Johnny Atlas muscleman to have a catheter ablation. Most healthy 80-year-olds aren’t so frail that they can’t have a catheter ablation. If you’re in your 80s, you most likely can still have a catheter ablation. But, how to find the right EP? Make sure you select an EP with a proven track record of finding and isolating non-PV triggers. (Dr. Santangeli’s research found that octogenarians have more non-pulmonary vein trigger sites.) Some EPs can’t or won’t make the extra effort to map and ablate non-PV triggers. 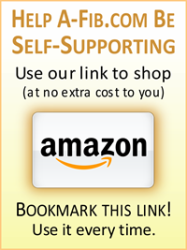 Remember: You need to become your own best patient advocate. 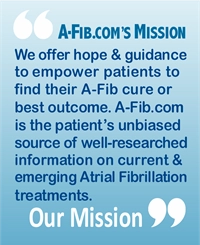 Aim to be free of the burden of Atrial Fibrillation.